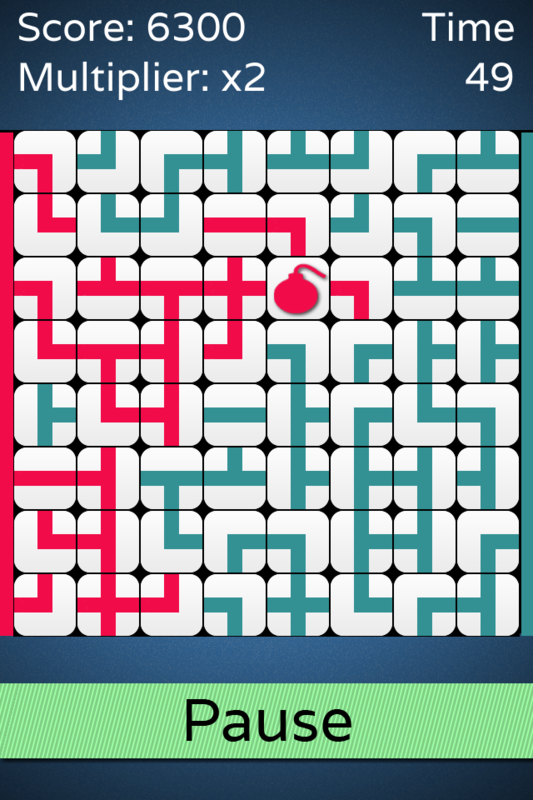 Out now on the App Store is the latest update to Endless Lines, the action puzzle game I made last year. The biggest change for this version is I’ve redone all the game’s artwork. The reason for the change is the existing graphics were very dark and uninviting, it didn’t look like a fun game to play. I took inspiration from real world game tiles for the game’s original tile set and with the beveled edge I used I kept the lines or other images on the tiles close to the center and quite small. These large borders around the edge of the tiles could make it hard to read what was connected to what and why. It wasn’t an issue I had, else I wouldn’t have used this design in the first place, but others have commented on it. 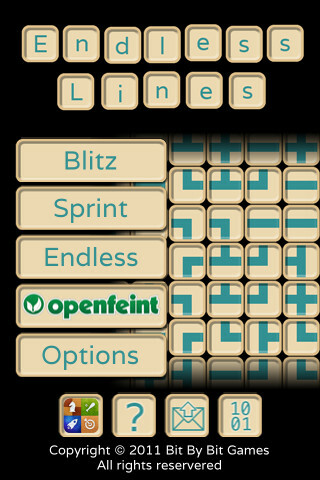 The new tile design is much more readable even retaining the gap between the tiles. 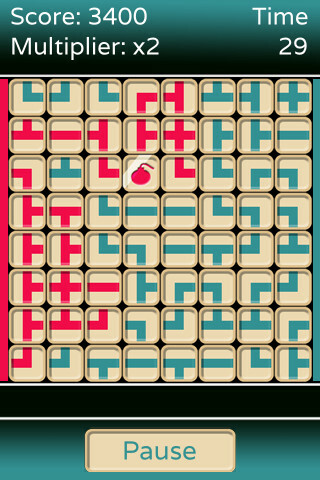 Additionally with the loss of the border the images for Bombs & Multipliers can be made larger and thus easier to spot. Very dark and uninviting, whilst the game board in the background did move and I had fun making it doing that, it wasn’t really necessary for a screen you shouldn’t spend much time on. It is bright and inviting. It’s also quite simple, and clean, there is nothing like the moving game board in the background. This version exists to convey information to the player as quickly and as easily as possible. The new larger buttons for the game modes immediately let the player know what each one is, rather than having to consult with the instructions. Another advantage of more screen space being used for the menu is menu options, which were just small buttons with an icon on them before now use words to clearly convey their use. The new predominant colour is a shade of blue, well two since it’s stripped. 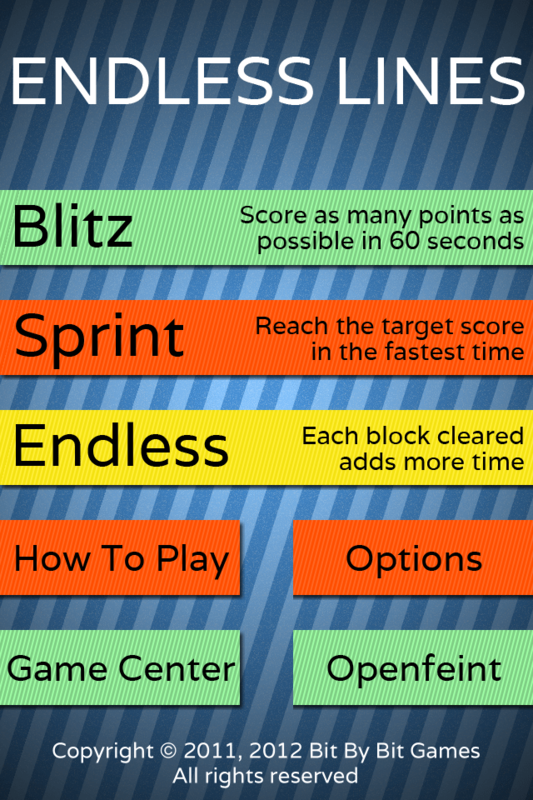 The colour of the buttons in the menu and game carry through from the menu, so the pause button in a Sprint game is green and in an Endless game it’s yellow. An improvement I think you’ll agree.